A high energy rollercoaster ride through the last great decade of pop. If you want to have an 80s party then you have definitely come to the right place! Duran Duran, Bon Jovi, Eurythmics, Frankie Goes to Hollywood, Wham!, Blondie. Bryan Adams and so much more. And who doesn’t love the Weather Girls – our guilty pleasure! 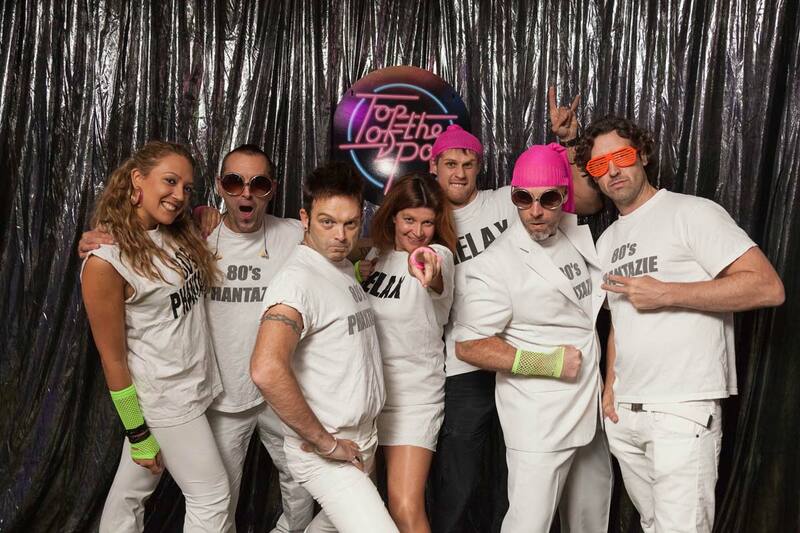 So many fantastic bands were around in the 80s and as an 80s party band, we love performing each and every one! And if you have something special you would like us to cover, then please just ask, when you book us. So get in touch today! Either by calling 01435 408083, filling in our contact form or emailing us. Someone will then be in touch to give you all the necessary information. If we don’t answer straight away, it’s because we are off performing elsewhere, but we always get back to you as soon as we can.